Today is the day Jordan and I thought we’d become five. Today was the due date of our third child. Not many people know that we were pregnant this spring. It was a surprise, as all of our babies have been really. But when there’s love, there are pretty incredible surprises in life. I didn’t think that I was mentally or emotionally prepared for a third baby, but the moment you hear your child’s heart beating, you’re instantly in love. You imagine what adding another member to your team will be like... What will she be like? Who will he look like? What will she be good at? What role will he play? You picture all of these things. You can’t help but to. But on our third time around, as quickly as that heartbeat came, the very next morning it was gone. Losing a baby at any point in a pregnancy is extremely difficult. You’re excited for new life and everything that brings and then it’s gone and you’re forced to move forward again. And every mother has her own journey. For me, the emotional part of the loss was easier to manage. I believe wholeheartedly in God’s sovereignty. I have everything I could ever want — a loving husband and two beautiful, healthy children. I very quickly found perspective. But even when your emotions recover, your body still needs to heal. For weeks and even months the hormonal and physical shifts can be scary and unexpected. The doctors eventually determined that a stomach virus very early on in my pregnancy, followed by a case of mono likely led to the miscarriage. So on top of losing a baby, I had to also heal from being sick. I was physically exhausted for a good part of this last year. Miscarriages are a common thing. One in four women will experience pregnancy loss in her life. Though they’re hard, they can be a meaningful interruption in life. They slow you down and remind you of the miracle of children and the realness of life. They give us perspective, and they add to our depth as women and mothers. 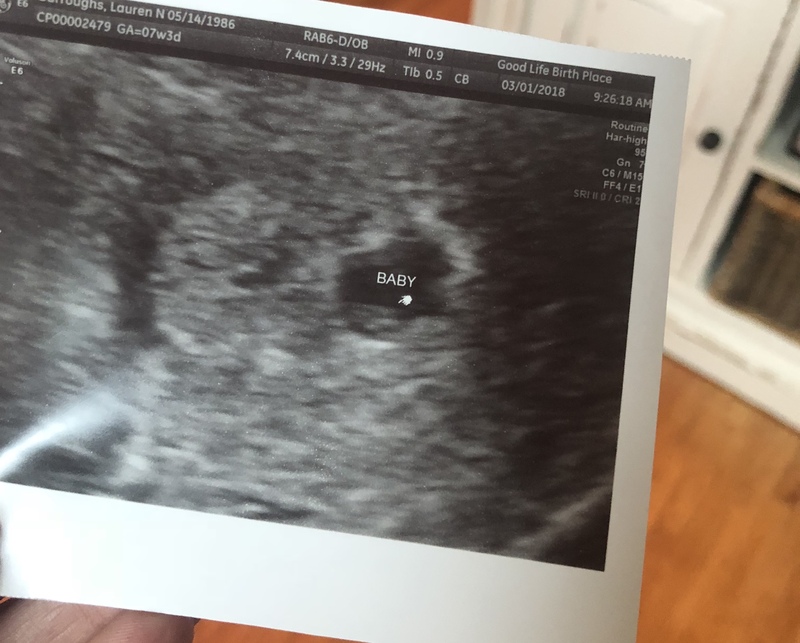 Jordan and I didn’t share this news when it happened because we wanted time to process it. We gave God time to show us what it meant and how He would use it. The truth is that some things are easier not to share. Some things we’d much rather keep private. We highly value our intimate family space. But we also are blessed by this platform. If you have an audience, invest in them. Most of the time we're having fun on social media. It’s lighthearted. We're sharing about family and sports and winning medals. But it’s also about life — the honest, the real, and the really messy stuff. As “perfect” as our life seems from this little square screen, we struggle too. And we’re better for it.